Breaking Bad's Blue Meth is Real. And It's In Oklahoma. Walter White, the fictional chemistry teacher turned drug dealer on Breaking Bad, was infamous for utilizing his chemistry skills to create a 99.1% pure methamphetamine aptly named "Blue Sky." 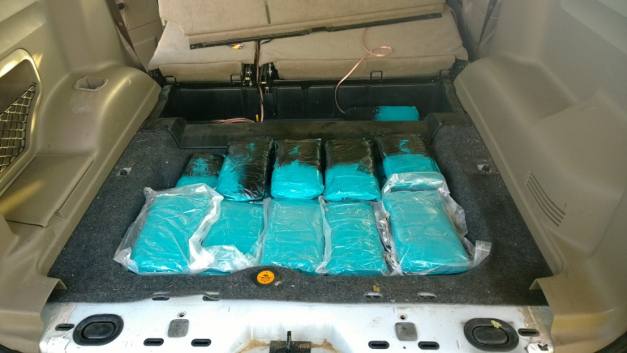 Acknowledging the reality that sometimes life imitates art, Canadian County Sheriff Deputies conducted one of the largest meth busts in the nation's history last week discovering $2.3 million in baby blue colored meth hidden in a secret compartment in the back row of an SUV. It's no secret that methamphetamine manufacture and use runs rampant in Oklahoma, but last week's discovery further adds to the Oklahoman war against meth. According to a CNN Study, in 2012 Tulsa County, Okla., had 979 identified contaminated meth lab sites - the most of any county in the nation. While this discovery might prove that drug dealers are now consulting with chemistry experts to create a true form of "Blue Sky," I am more inclined to say that these drug dealers tapped into their entrepreneur side and cashed in on the enormous success of Breaking Bad by adding a little blue food coloring to this "Blue Sky"knockoff. The drugs were found while conducting routine surveillance of the TA Truck Stop at Morgan Road near I-40 in Oklahoma City. Deputies became suspicious of a 2004 Ford Explorer's paperwork loaded on a hauler that was picked up from "Armando" in Huntington Park, Calif., was to be delivered to "Ernie" in Monett, Mo.,but was registered to a third man from Denver. The Springfield DEA office installed a tracking device to monitor the driver's delivery of the drugs to Monett where the driver met a man in a Lowe's parking lot. Authorities tracked the Explorer by airplane and unmarked vehicles as the man drove away. A search warrant executed at the home of the Explorer owner seized $33,000 in cash, a handgun, 3.5 grams of meth and a ledger containing contact information.The driver of the car hauler was arrested, along with five men at the Monett residence who will likely be charged with multiple federal counts of Trafficking Narcotics, Conspiracy to Traffic Narcotics, Money Laundering and Weapons-related charges. Initially, the Canadian County Sheriff's deputies reported the 15 bundles of meth weighed 43 pounds; however, an affidavit filed by a Drug Enforcement Administration (DEA) office in Springfield, Mo. estimated the weight at 30 pounds. Either way that's lot of Walter White's "blue sky." How much is 30 pounds of meth exactly? Well, it's definitely enough to get charged with aggravated drug (CDS) trafficking in Oklahoma. Look below for a breakdown. Oklahoma has another connection to Breaking Bad apart from the "Blue Sky" look alike found in Oklahoma City last week. According to the American Chemical Society, University of Oklahoma organic chemistry professor Donna Nelson was the brains behind Walter White's meth empire. Professor Nelson served as a scientific consultant for Breaking Bad by providing, among other things, some of the formulas on Walt's blackboard, as well as calculations on how to produce meth by the barrel. Last week's encounter illustrates that drug traffickers are getting mighty innovative these days by using unsuspecting vehicle haulers to move meth. However, that wasn't the craziest story I could find. Last year, a portable meth lab exploded in a man's pants near Okmulgee when the man tried to run away from a state trooper during a traffic stop. In February, undercover drug agents found a mini meth lab inside a porta-potty located in the middle of a Purcell golf course. In addition to the heavy artillery that authorities use to combat meth, a simpler reason exists for the creativity behind meth-manufacture. Years ago, Oklahoma lawmakers voted to require that all pseudoephedrine products be placed behind the counter, to limit meth cooks' access. The scheme worked - but only for a time. Eventually, meth cooks found ways to circumvent sales limits and also developed a �shake and bake� method to create the drug without large amounts of pseudoephedrine. The number of meth labs in Oklahoma surged. 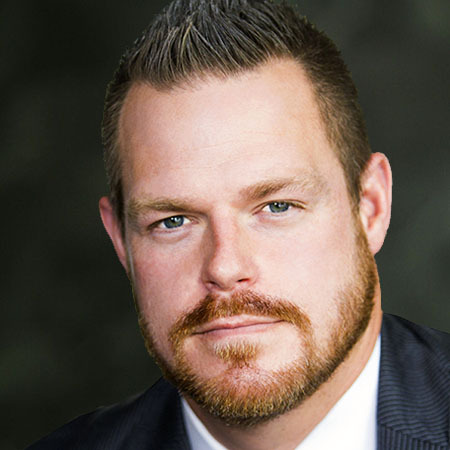 In response, lawmakers debated, but ultimately rejected, a plan to require a prescription for any pseudoephedrine product. The proposal was met with great resistance by law-abiding citizens with allergies who cited the increased burden on them would not guarantee any significant impact on meth related crime. However, a potential solution may be in sightdemonstrating that meth-manufacturing creativity isn't a one-way street. Zephrex-D, a product of Westport Pharmaceuticals, recently went on sale in Oklahoma, and is a pseudoephedrine-based medicine for allergies that can't be used to make meth. Various authorities have tested Zephrex-D and reported that making meth using the �shake-and-bake� process couldn't be done. It's only a matter of time if allergy suffers will find Zephrex-D as effective as other pseudoephedrine products, and if so, create a partial solution to Oklahoma's meth problem.